How to get there From the A697 roundabout at Cornhill take the B6350 approx 2 miles west to Wark village. NT 822388/Traces/peripheral Access It was in this Castle in about 1348 that Edward III was said to have founded the Order of the Garter. It was at a ball, after the king had again defeated the Scots, that the Countess of Salisbury dropped her garter. The King to prevent his courtiers mocking her, fastened it on to his own leg, with the words "Evil to him who thinks evil of it" The moto in French Honi soit qui mal y pence is still embroidered in gold on the insignia of the Knights of the Garter. 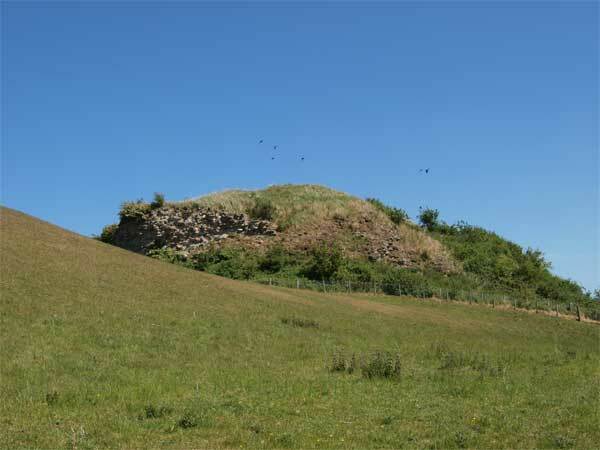 Walter Espec built this Castle in 1136 having been granted the manor by Henry I, " the castle of Carham or Carrum which in english is called Wark*" was captured by King David of Scotland. 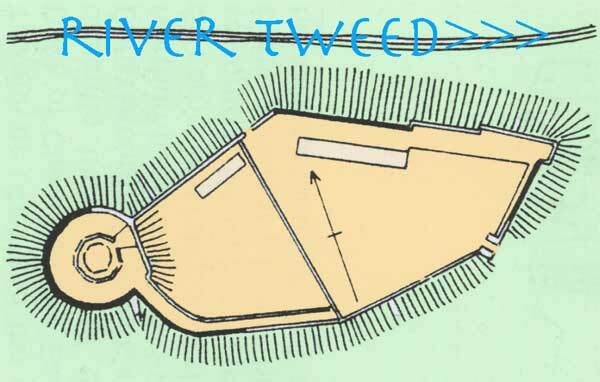 In 1138 it withstood three sieges by the Scots. The garrison were eventually starved into surrender but in recognition of their gallant defence the were allowed to go free and given 24 horses to replace those they had been forced to eat during the seige. The Castle was then destroyed. 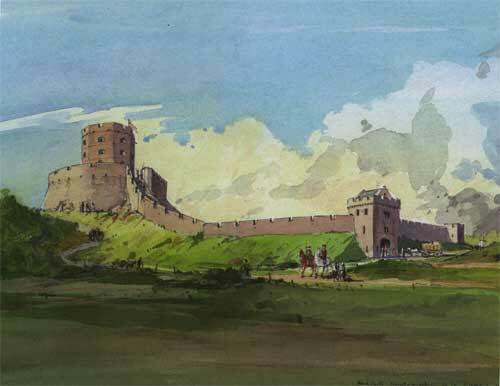 It was refortified in 1157-61 and in the early C13 when an octagonal shell keep was raised on the motte and a curtain wall, with towers and a gatehouse were constructed. 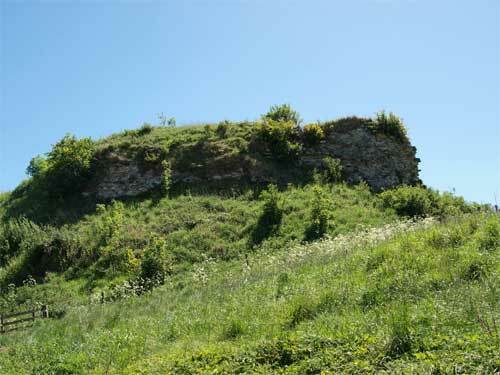 In the south east corner the outer ward replaced the early bailey defences. Probably dismantled in 1549. 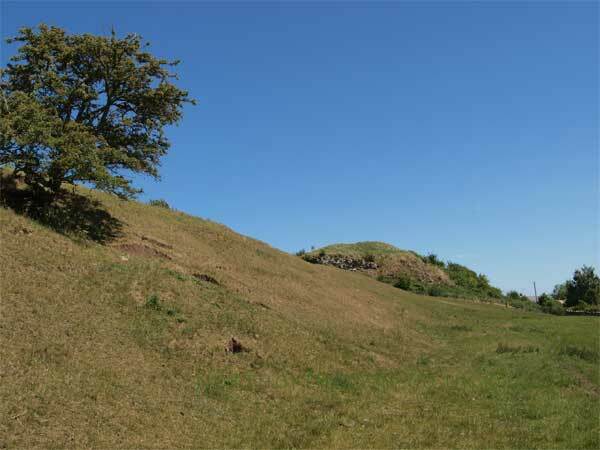 The visible remains of the castle largely relate to C16 building phases as the medieval castle was partly demolished and re-built on numerous occasions. 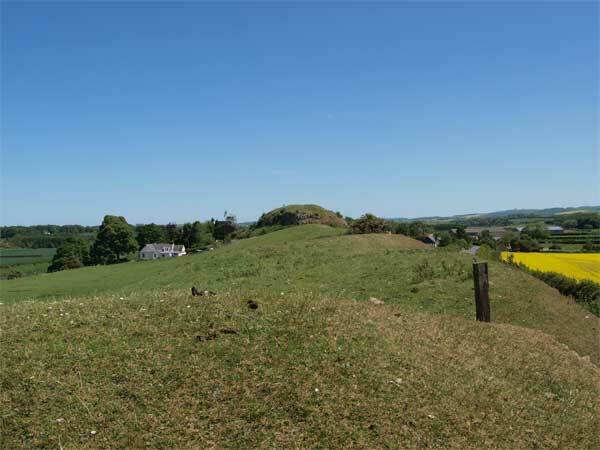 The Inner Ward consists of a mound 11m high with a base diameter of 50m which appears to be a simple motte but must be, in fact mainly the remains of an artillery platform, 'the ring' of 1543, enclosing a masonry tower of earlier date. 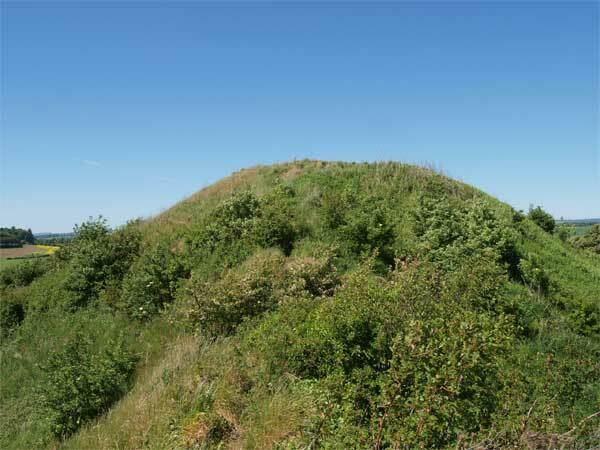 the top of the mound has been disturbed by excavations in 1862. 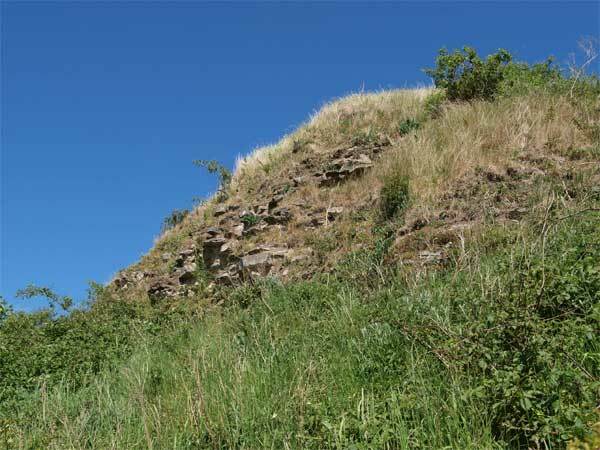 The curtain wall of the Middle Ward survives as a bank 1.4m high running down the north slope of the mound and as a bank 3m high with visible masonry on the east slope. 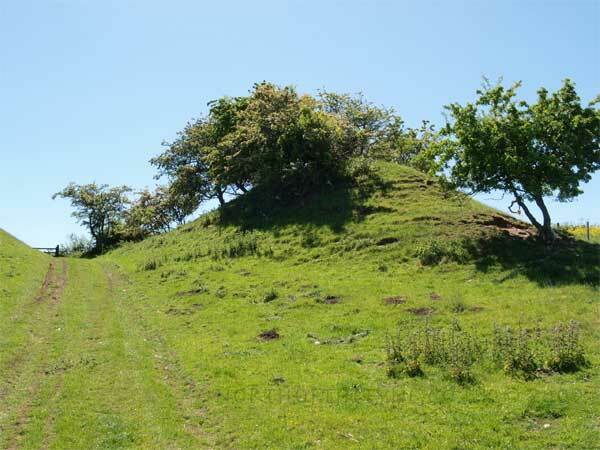 The village of Wark mostly sits in the area that was the Bailey. 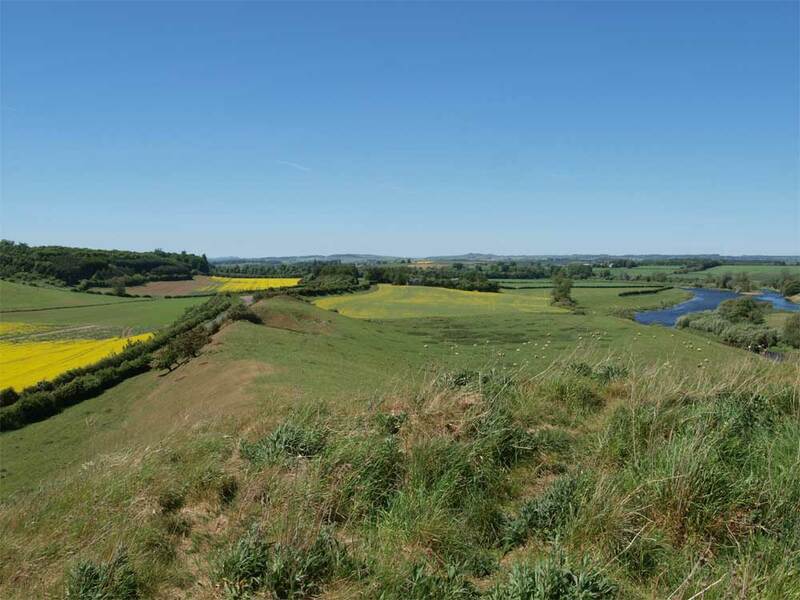 * According to the Rev Hartshorne The name Werk or Work was given by the locals to the site when it was under contruction it being a huge undertaking and the popular nomenclature quickly prevailed. 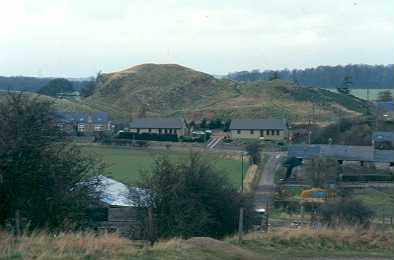 The Barony was henceforth almost universally designated Wark although the parish maintained its ancient name.